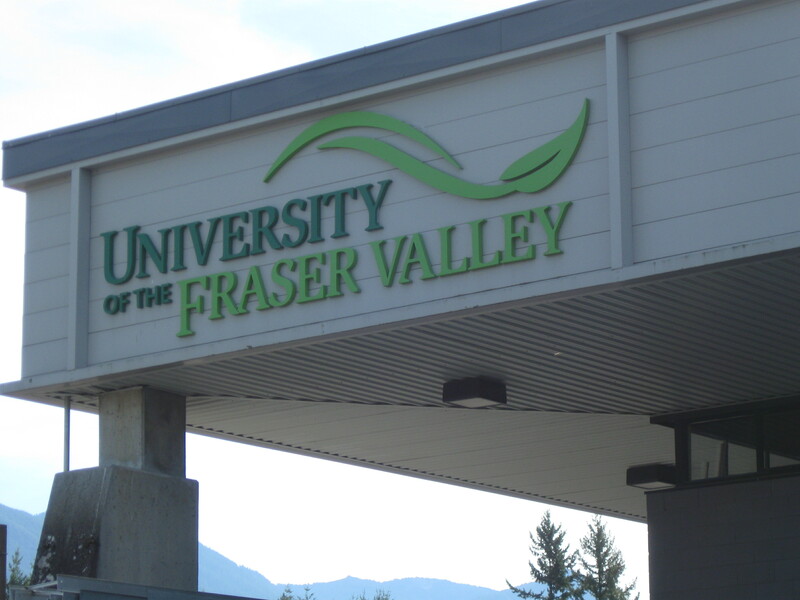 Abbotsford/Fort Langley – The University of the Fraser Valley rowing program celebrates a milestone on Saturday as it stages its home regatta, Head of the Fort. It’s the 10-year anniversary of the Cascades’ regatta, which is held annually on the Bedford Channel in Fort Langley. 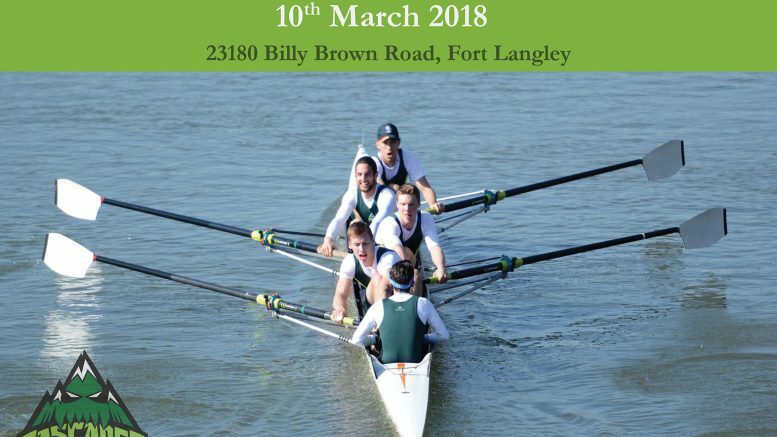 The event features junior, university and Masters crews competing on a 6.5-kilometre course, and brings together the Cascades, the Simon Fraser University men’s and women’s teams, and local rowing clubs from the Lower Mainland. Cascades head coach Liz Chisholm said it’s been a joy to watch Head of the Fort grow into a much-loved event over the past decade, particularly since it’s driven by volunteer work from the Cascades student-athletes. This year’s Head of the Fort will feature three launches – at 9:30 a.m., 11:30 a.m. and 12:45 p.m. – and the bridge over the Bedford Channel makes for a great viewing area for spectators. The Cascades will be represented by at least four women’s and three men’s boats, plus a pair of alumni boats (a men’s four and men’s eight). Among the UFV varsity entries, Chisholm has particularly high hopes for the men’s and women’s fours. The men’s four features Mitchell Wierks, Graeson Lounsbury, Clayton DeVries and Kyle Fischer. The women’s four, meanwhile, is coming off a solid second-place showing at last weekend’s Elk Lake Sprints hosted by UVic. That boat features Michelle Olive, Julia Siemens, Serene Blanchard, Jayme Reitsma and coxswain Genelle Grubb. For more information on this year’s Head of the Fort, including race course and parking maps, click here. 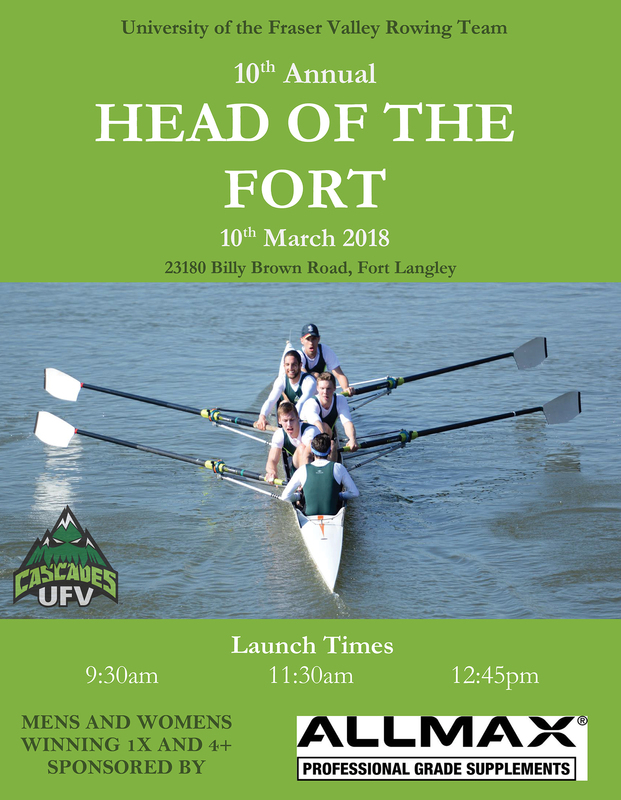 Be the first to comment on "UFV Cascades Rowing Hosting Head Of The Fort Regatta – March 10"